On Sunday The New York Times published a front page story on a weekend of crime in Chicago with 64 people shot, six of whom died. With in-depth reporting on four inside pages, the Times said "It is a level of violence that has become the terrifying norm, particularly in predominantly black and Latino neighborhoods." The Chicago Police Department with 12,000 officers, the nation's second largest, is so distrusted that witnesses of crimes say they cannot remember what happened and victims drive themselves to hospitals rather than call the police. In 2015 there were 470 homicides, few of which are solved. By June 3, another 239 were dead. Since the start of the year, Chicagoans have called the police 28,000 times to report gunfire. Contrast this carnage with El Paso, a city of 679,000, a quarter the size of Chicago. In 2010 El Paso had only five murders in the entire year - compared to six in one Chicago weekend. El Paso had 23 murders in 2012, 11 in 2013 and 20 in 2014. 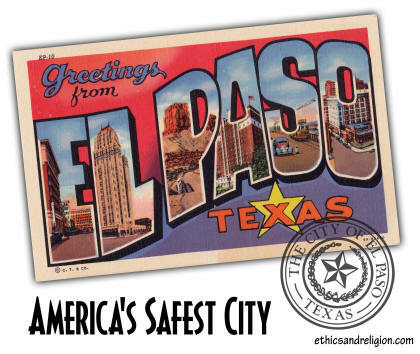 In fact, El Paso, America's 18th largest city, had the nation's lowest crime rate of all major cities for four straight years. Why is El Paso's murder rate a tiny fraction of Chicago's? Does Chicago have a much bigger percentage of blacks and Hispanics in its population? No. A third of Chicago is white compared to only about 12% of El Paso, where 80% are Hispanic. The city also has a high poverty rate, high unemployment and many school dropouts. It is also across the river from Ciudad Juarez in Mexico, which suffered 3,500 murders in 2010. Barney heard me interviewed on a radio show about our work at Marriage Savers to help a cross-section of churches in a city to better prepare couples for a lifelong marriage, enrich existing ones, and save those in crisis. I asserted that if Catholic priests and Protestant pastors took these steps together, citywide divorce rates fall. I am concerned that in-laws may interfere in our marriage relationship. I am concerned that my partner is more of a spender than I am. I suggested training couples in healthy marriages to discuss 150 such items over six sessions and teach skills to resolve conflict, and ask couples to be chaste till the wedding. In addition, I proposed that churches hold an annual event to enrich existing marriages, such as "10 Great Dates," in which couples come to church weekly, watch a brief DVD on such topics as "Resolving Honest Conflict" or "Becoming an Encourager." Couples then go on a date to discuss that item! It is a fun way to strengthen marriages. For troubled marriages, I proposed the pastor ask the congregation, "Are there couples whose marriages were once on the rocks, but who have healed them? If so, meet with me after the service." When that was first asked in Jacksonville, out of 180 people present, 10 couples met with the pastor. He asked them if they would share their stories with each other. Seven did so, which trained them to tell their stories to couples in crisis. Over the next five years, they met with 40 troubled marriages and saved 38 of them. I suggested that if they agreed with such goals, that they sign an El Paso Community Marriage Policy. Thirteen Catholic priests and 45 Protestant pastors took this step in 1996. The second initiative Barney Field took in 1997 was to persuade The El Paso Times to publish the entire New Testament with daily excerpts that took five minutes to read. Also, any reader could write for a free New Testament, and 70,000 people did so. These initiatives to strengthen the faith and marriages of El Paso transformed the city. Few kids became delinquent. 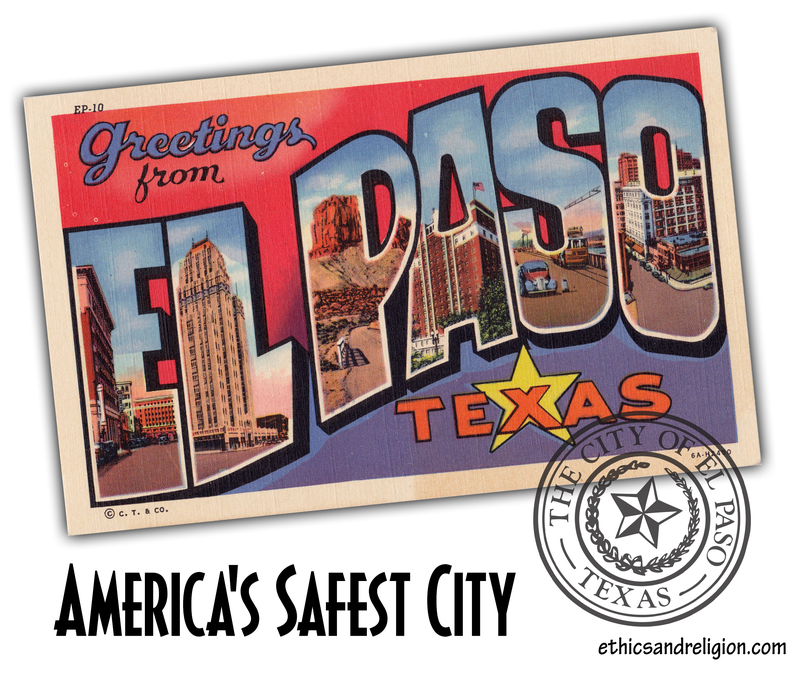 That's how El Paso became America's safest big city. Copyright (c) 2016 Michael J. McManus is President of Marriage Savers and a syndicated columnist. For earlier columns go to www.ethicsandreligion.com and hit Search for any topic.